Daisy-Lyah and Lilian sat opposite Breeze. “We would like to hear one of your stories please Mr. Breeze.” Lilian looked at him and waited. Breeze searched the clouds in the sky and found inspiration there. Jessie is a tiny girl whose best friend has four paws, a wagging tail and a smiley face. One afternoon she ran into the kitchen and hid under a chair. “The monster can’t crush me here,” she whispered. “‘Yes I can!” The monster roared growing bigger to fill most of the room. Jessie raced into the kitchen. “Come on Jessie let’s go to the park.” Granddad said. Bob began to jump and bark around them. He loved the park. “Wait till I put my coat on, Bob,” Jessie whispered looking around, searching for the monster. She didn’t want to be crushed. A tear rolled down her face. Bobs sloppy tongue licked it off making Jessie giggle. Bob walked with Jessie close to Granddad and Granny. In the park Granddad went to get ice cream. Granny sat in the sun. Climbing into the playhouse, Jessie felt safe. Bob was sitting beside her so there was no room for a monster. “Jessie are you ok?” Granny asked. Bob was drooling. Great lumps of blob were hanging from his mouth. “Thank you Granddad. But Bob is sad,” Jessie said. She stuck her finger in her ice cream and Bob licked her finger. “It’s ok Bob. I have one for you!” Pulling a tub of ice cream from his pocket Granddad placed it on the ground. Bob looked at Jessie. “Eat it up Bob!” She said. He did. Then Jessie heard a whispering voice grow louder until it became a roar. “You are tiny. I could swallow you in one gulp,” the monster shouted. He was huge, blocking out the sun. Jessie began to shake. Huffing and grunting Bob moved closer to Jessie. She sat with her hands about the dog’s fluffy neck. Jessie thought about all the nice things the monster couldn’t understand. Granddad held up his drawing. “You, Granny, Mum, Dad, and lots and lots of Bobs,” she whispered. “Who will we bring to the park next time?” Granddad asked. 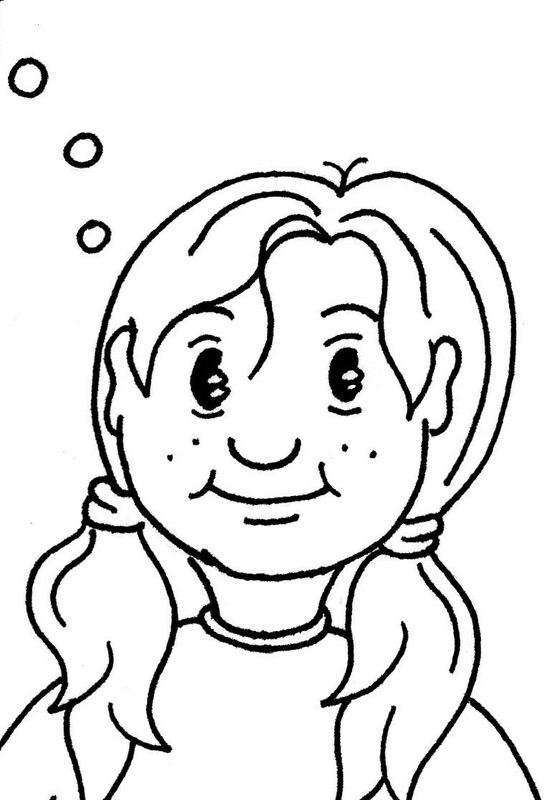 Here is a picture of Jessie for you to colour.